The Johnny Appleseed Guide is a memorable learning adventure centered around a simple story. 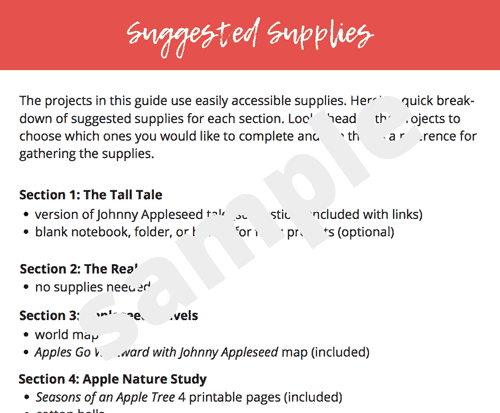 Be sure to read our Description below for more information about this guide. **Because this is a digital product we suggest you download the guide to a computer. Once downloaded, it can be shared to your mobile device. Paypal Notice: When you receive your PayPal receipt it may show you sent a payment to The Seasoned Homemaker which is our parent company. The charge will appear on your credit card statement as “PAYPAL *LESLIERUTLA” with the payment being sent to [email protected]. We apologize for this temporary inconvenience. At Learning Through Literature, we believe that well-written stories can inspire children to make the strongest learning connections. 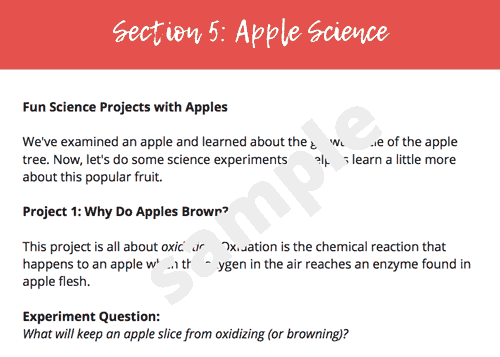 Mix in some fun, hands-on activities, and new knowledge is solidified in a child’s mind without tests and worksheets. 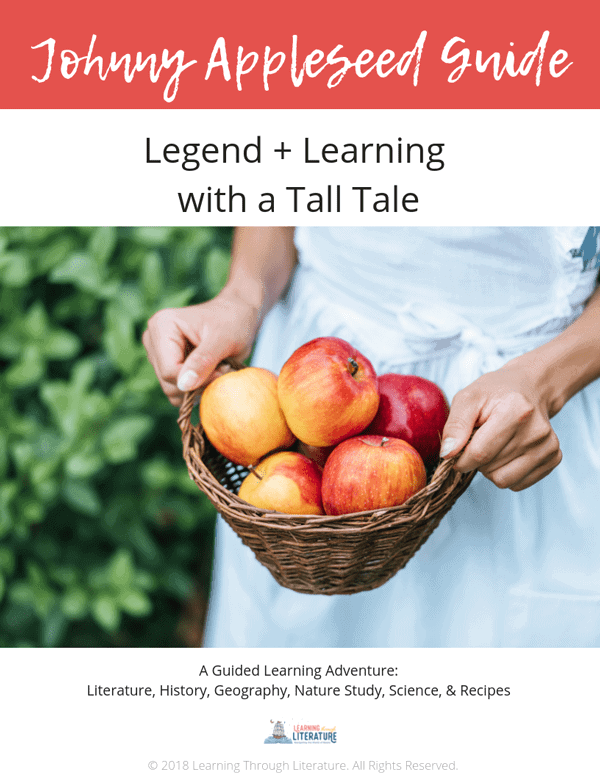 Our Compass Guides harness the power of stories as a direction for intentional learning adventures. 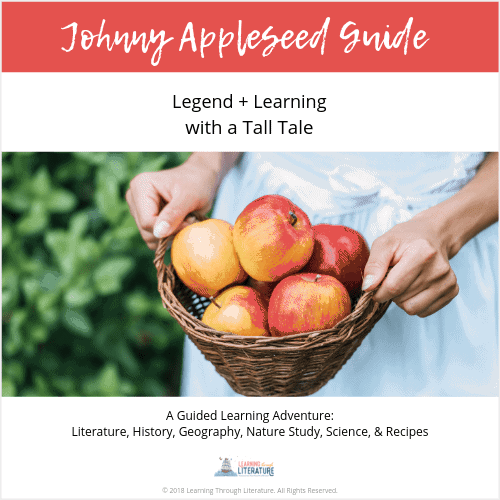 For this guide, we feature the story of Johnny Appleseed because of its importance in American literature and the sheer fun of the tall tale. Simply reading the tale is enjoyable. Reading and exploring the richness of connected topics helps anchor new knowledge to something memorable. 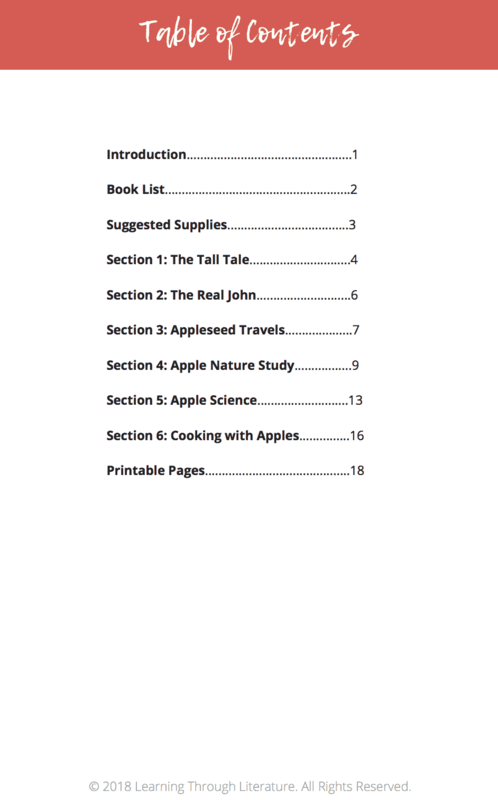 The learning begins with reading any version of the tale you find available (although we recommend a few versions for ideas). 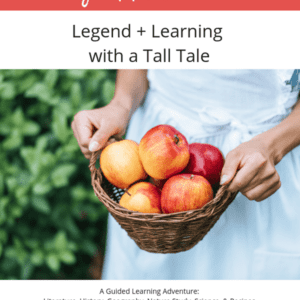 From there, we explore the real person behind the tale, the history and geography surrounding his life, and other fun learning adventures with apples. Note: Because this is an electronic item, the guide is non-returnable.